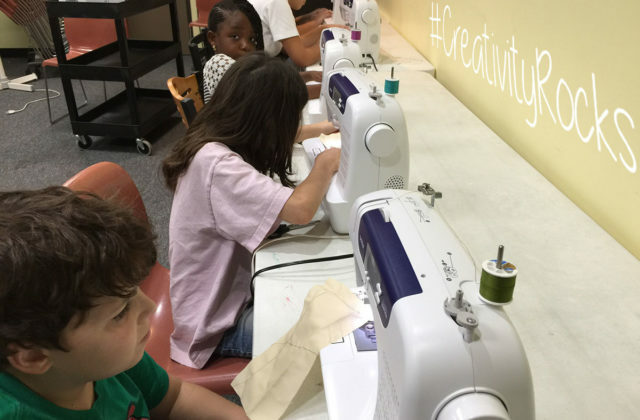 The Creativity Shell provides sewing/textile arts classes in schools such as Garden Oaks Montessori School. We have been working with Garden Oaks since 2015 and each year, we have the opportunity to work with over 200+ students in grades 4 – 6. Some of the skills we are teaching this group is weaning them off instant gratification, working on fine motor skills to complete tasks such as threading a needle and tying knots. 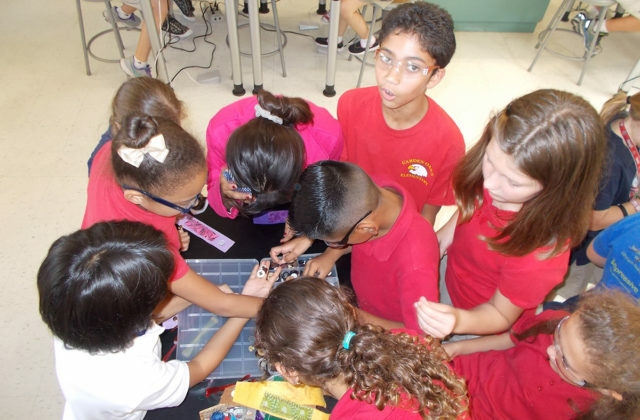 In this group, we also teach experience based educational lessons such as a bartering for buttons economics class where students barter and trade unique buttons to complete their assignments. 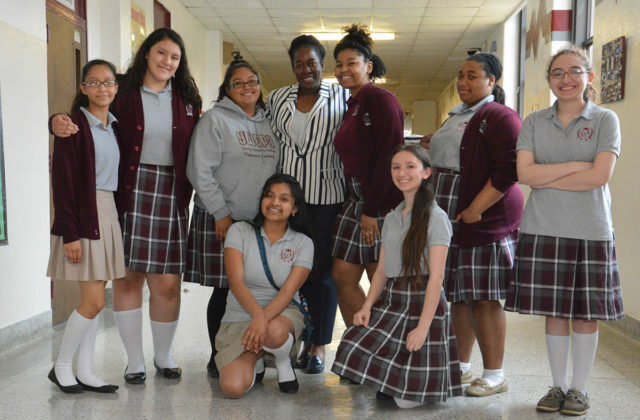 The S.T.E.A.M (Science, Technology, Engineering, Art and Math) sewing/textile arts program offered by the Creativity Shell at Young Women's College Preparatory Academy (YWCPA) teaches students to sew with electricity conductive threads (ECT) and electroluminescent wire (EL Wire). Students in these classes learn to use ECT to add electrical elements to their garments such as LED lights. Students will also learn to “CODE” the electrical elements of their garments and allow them to “Light Up” in sequence. By contributing to this program, you help the Creativity Shell continue to offer our STEAM sewing/textile arts programs to this school.